Yes, feel free to use the posters. I appreciate everyone who has linked to them already. Br.Maynard for the phrase "Live your faith. Share your life." StockXchng for use of the images. Despair, Inc. for the DIY poster generator. 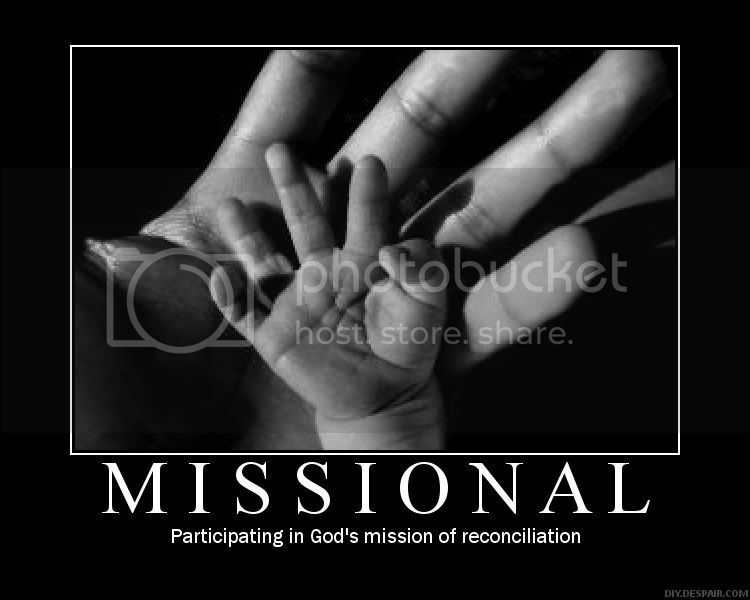 Many emerging/missional blogs for the commonly accepted usage and meaning of these terms. I didn't recognize my views in the posters that were made (elsewhere) concerning emerging church terms. 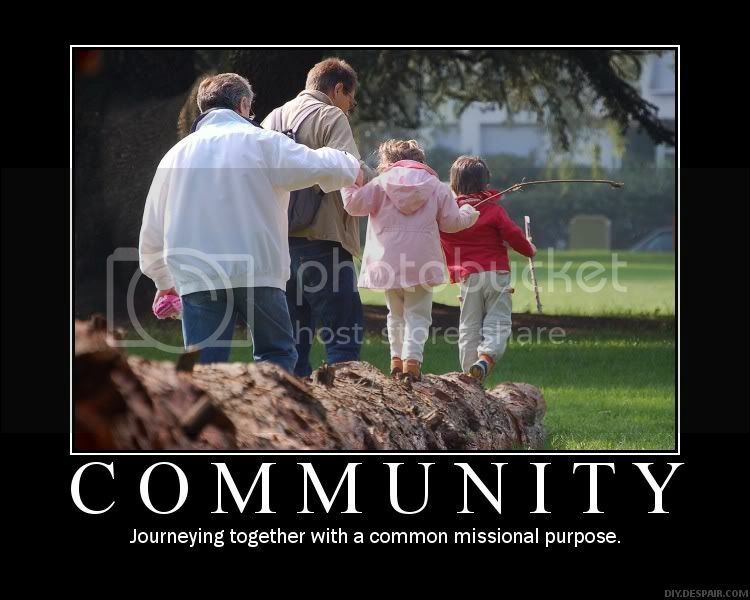 So I decided to make my own posters that represent my simple understanding of emerging/missional terminology. If you weren't already there, you've entered the big leagues. This is FANTASTIC stuff and you will be linked like crazy. Thanks! Awesome, Grace! Thanks for these! Too lazy too log out of my wifes account and into mine! But these are wonderful and touching. I want them for myself to hang on my walls. The visual impact is breath taking. I agree with the other comments. Fantastic stuff! Grace, you always amaze me! I'm still new to this whole movement and all that is being talked about. I often wonder what people mean by the words they use since they are unfamiliar to me. This is a great tutorial. I will actually refer back to it often to see if the word that someone is using and what they are saying with the word is actually matching the "picture" because I think you captured the heart of the movement, its intent, and its verbage brilliantly. Thanks, and like what has been said above, WOW! Wow again! You capture my heart's desire so powerfully!! Ditto to what everyone else has said. These are great! I am glad you all enjoyed them. 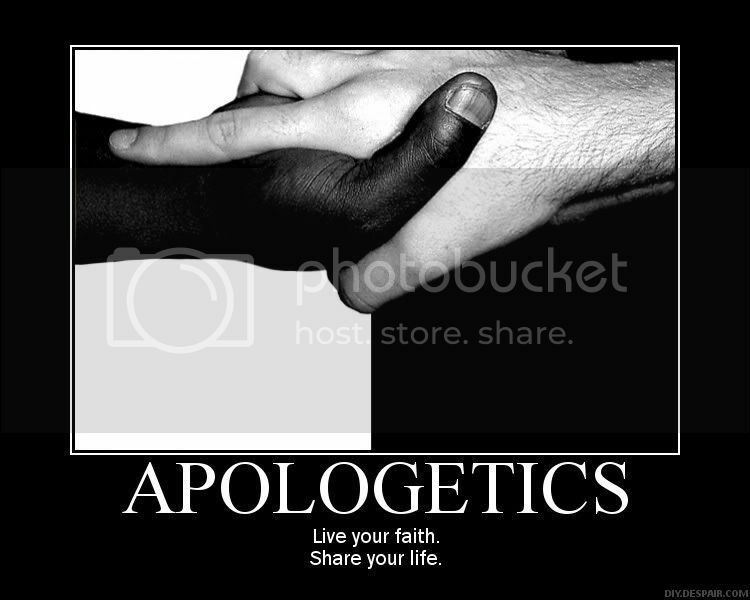 I should have hat-tipped Brother Maynard for the quote on the apologetics poster. He is the original source of that phrase. Thanks Brother Maynard! Thank you also to those of you who have linked to them. I hope that they point to the common values we all share as believers, not just those who identify themselves as emerging or missional. Thank you, thank you, thank you! These are awesome and well put, a refreshing view in an all-too-nasty blogosphere. I will link to this as well. the best part of this is that these posters simply clarify a point of view instead of being "nasty" toward another's point of view. the "coversation" one is my favorite. These are GREAT! Is it ok with you if we use them on our own blogs? Dollymama, you totally beat me to the question! As a right wing, evangelical, conservative I can only say WELL DONE! The original posters are pretty funny (in a sickenly sad way), although a few can only be described as spiritually abusive. Thank you for being truthful to Scripture. these are not even funny. You are right. They aren't. 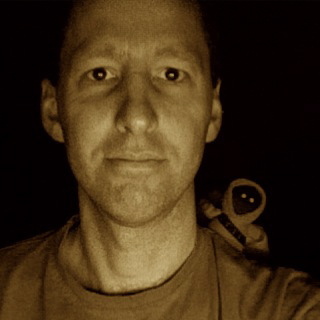 Grace, I just discovered your site via Rob Witham. I have linked to you, but also want to know if it is ok to use a couple of your posters (with a link to your site, of course). They are PERFECT. the other posters just served no purpose other than to put the Emerging Churches down; how sad. these were brilliant. 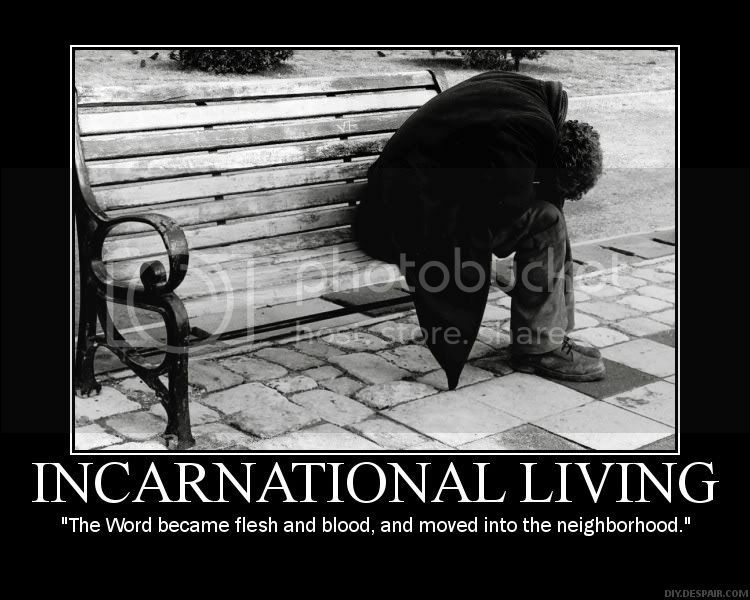 may i use with permision the "incarnational living"? even if not, that's cool - these are wonderful. You nailed it. I hope you don't mind that I linked to this post. Wow. You've arrived! You got Ken Silva to show up. For years I've been trying to goad him to visit my blog. You do realize that the guy who made the original posters berating ECM is an elder from my former church. Yeap, they are my people. beautiful. to answer ignorance and malicious gossip with beauty and truth... very nice. Thank you so much for this. What a creative gift of expression God has given you. 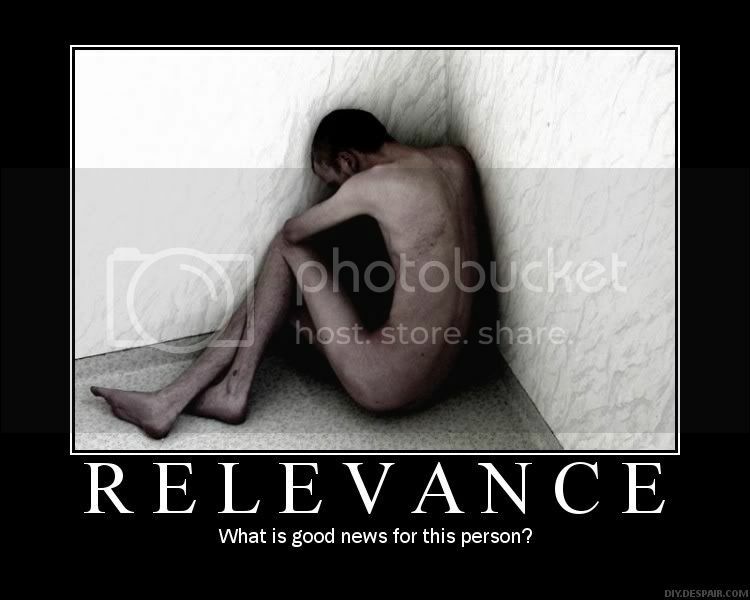 The "relevance" poster spoke deeply to my heart. This is something I wrestle with all the time, and I find it hard to put into words. 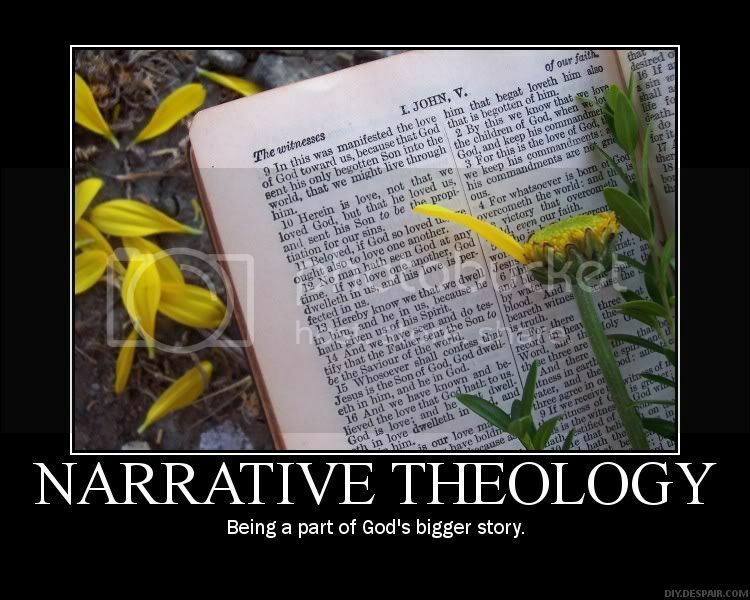 It's something along the lines of, "If my theology and pat answers aren't big enough to handle the starving person in Africa, the mentally ill person in my town, the persecuted person in China, then my theology is shortchanging the reality about God and His good news." Your picture is truly worth a thousand words in my thought processes. It's not that I have to have all the answers. It's more that real life shows me how much I don't have the answers, and in the lack of answers and understanding, trust grows. 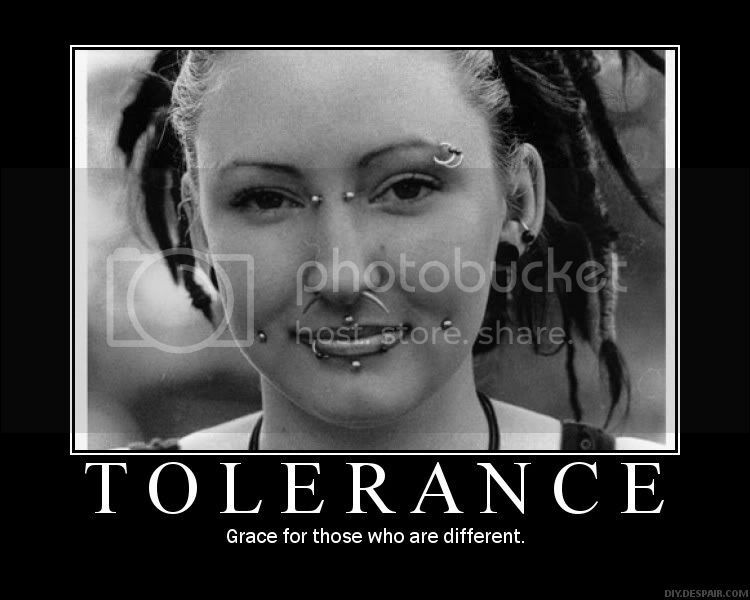 Grace, thanks for being so gracious and just basically Christian in response to those somewhat nasty and bad-tempered posters. Man, what a waste of that guy/girl's time! Well done. I totally disagree that the OTHER posters were a waste of time... Look what was inspired by them!! I've put my favorite one on my blog. Again, stunning. I keep telling everyone about them! This is a great blog and this posters are awesome. Wow, you have been through some deep and testing times. Yes I can understand it and to some extent have experienced this. At this point we have been out of regular Church attendance for nearly two years, although have been visiting another cool Church recently, but I still have a reluctance to jump in, because of past experiences and I also think there is a wisdom and a timing issue too. At the end of the day, God is totally awesome and my relationship with him has grown enormously because of these trials and others. I've been reading the Parables again recently and when you read what Jesus went through with the people, it's like wow, and he still persisted with the Father's way, in love and with passion. Thanks for all you have shared. Well done. Thank you for providing a gracious and serious response rather than answering in kind. So much better than the originals! Thanks! These posters are awesome. I will use one on my blog with a link to you of course. The images and words combine into one powerful statement . Well done Grace! Excellent verses. Along with these posters you have nailed exactly the reasons behind the emerging/missional movement. Far too long has Christianity been caught up in distortions in which the Gospel has been limited. 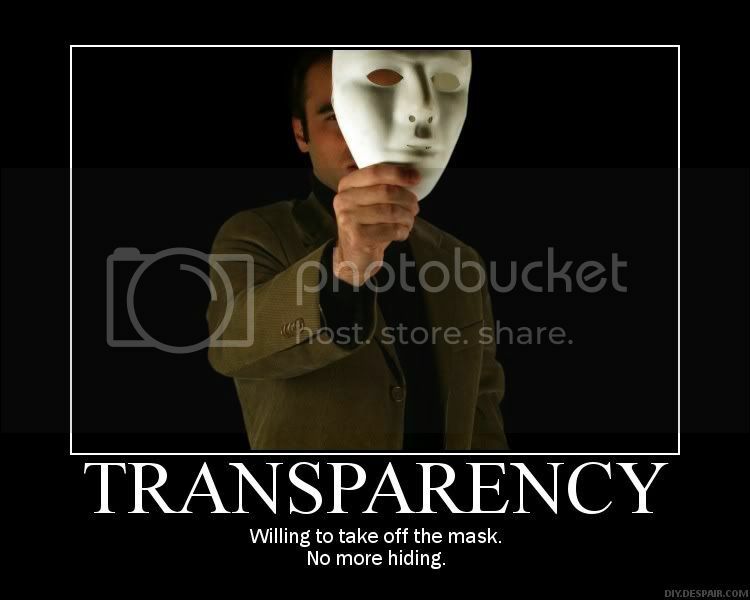 Far too much corruption, and greed, and tickling the ears of those seeking approval has been going on, making the church less of the Body and more of a marketing scheme. The sound doctrines that ignited the early church have been replaced by salesmanship and cultural rather than spiritual symbols of Christ. So much has this been so that when people come along to challenge the status quo, those in the old guard won't put up with the sound doctrine that's being taught and instead fight, and scream and attack. It has seemed right for so many decades but as you note it has led to death. Death to the church, death in our society, as those who desperately need the fullness of Christ have been turned off from seeking him by the rules and methods of earnest, but misguided, men. Thanks for putting this in a great perspective. Those verses are precisely why we are engaged in this present pursuit, which the above posters represent so well. We seek to move past the itching ears and myths of Christendom, and return to the sound doctrine that brings the dance of the Holy Spirit to all. Just found your blog. Absolutely fantastic posters! They say so much in so few words. Found you through Intent. Nice job on the posters. I'd seen the others a few days ago, and while I understood the attempt at humor, they just didn't seem "in good fun". However, "fantastic", "superb", and "gracious and serious" the comments claim they are, these poster are some of the biggest euphemisms I have ever seen. These poster do not accurately portrait what the ideas are truly about. 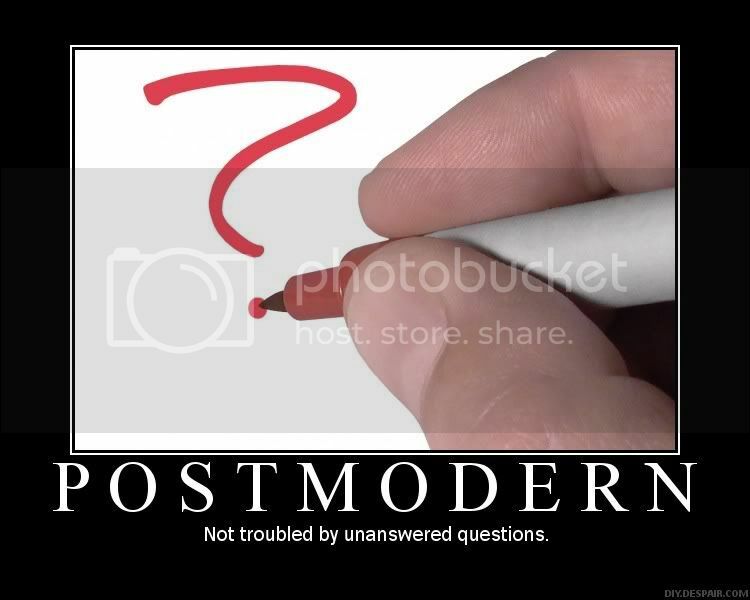 For example, Post Modernism is expressed as "Not troubled by unanswered questions." however, this undermines the true idea behind post modernism which states (rather ironically) that there is NO absolute truth which is the exact opposite of Christianity. If you deny that Truth exists then you deny Christ himself who is "the way, and the TRUTH, and the life." Zack...you said, "Post Modernism is expressed as "Not troubled by unanswered questions." however, this undermines the true idea behind post modernism which states (rather ironically) that there is NO absolute truth which is the exact opposite of Christianity. If you deny that Truth exists then you deny Christ himself who is "the way, and the TRUTH, and the life." As you have shown in your post, Truth is a person (Christ). Thus, TRUTH is not a reducible idea that can be held with absolute certainty. Just as I cannot reduce my friend's personhood to a boy of irish descent with brown-red hair and blue eyes, how much more is God irreducible? That is the basis for much of the Christian-Postmodern construct. It is not so much the claim that there is not TRUTH, but instead is the recognition that TRUTH is a person and therefore not able to be wielded in full by any person other than HE WHO IS! We thus leave all final judgements and 'the final word' to God. These posters are good. I am atheist, and proud to say that the same morals that you portray in the posters (most of them), are the ones in which I live by as well. As an atheist, I wanted to comment on a few of these posters that I thought were absolutely ridiculous. Sure. I'll believe it when I see you vote it into action. Judging by the types of legislation that are passed in this country both at the federal and state levels, Christians are anything but tolerant when it comes to granting rights to others: to mothers who have accepted to follow through with the difficult decision to have an abortion, for homosexual men and women wishing to enjoy the legal benefits of a bona-fide licensed marriage from the State, and for defending the rights of other non-theists and theists of different faiths who study the same questions they do with equal intensity but arrive at different conclusions. If by "not troubled" you mean, not interested in actually finding out then I fail to see how being postmodern is worthwhile. The typical Christian response to be so sure of everything while relegating anything they don't know to the "incomprehensible plan of God" is irresponsible at best. 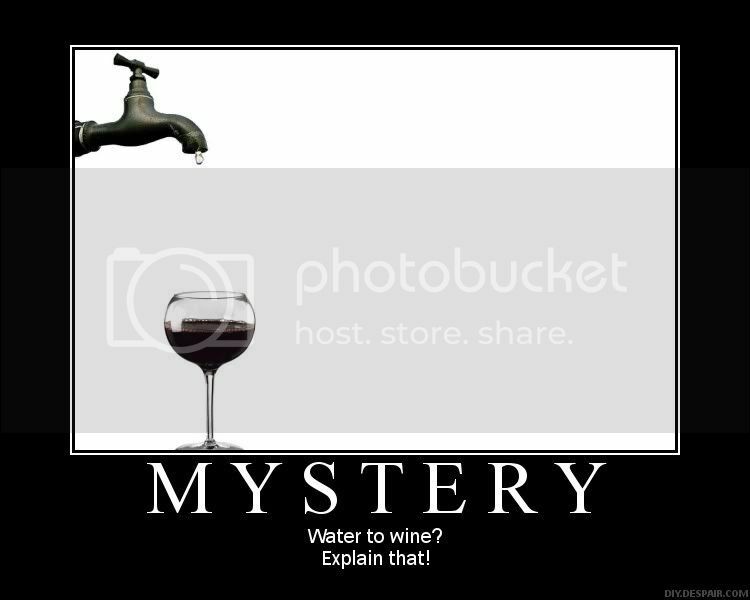 Mystery: Water to wine? Explain that! Yes, please explain that! If you can't--and I know you can't--then let go of it and proclaim boldly that you can't believe and stand behind such things that defy common sense and natural laws. The only mystery, it seems, is wondering why there are still people who believe that these things actually happened. Love the posters, but I wish the previews weren't so distorted. It make it hard to preview the previews. Well done and well said! Moving visuals! Great example (both in the posters themselves and in the non-responses to the odd pushback response) of the old adage "Don't feed the trolls." Thank you! It is encouraging and great to know that people are enjoying the posters. You are already on my blogroll. I enjoy your writing. My understanding of postmodern thinking as it relates to Christianity is that our understanding of Truth (Jesus) is incomplete. While we may have absolute certainty that Jesus it the Truth, we will also be in an ongoing process of growing in our understanding and knowledge of Him. To be honest, I don't spend much time thinking about modern vs. postmodern. 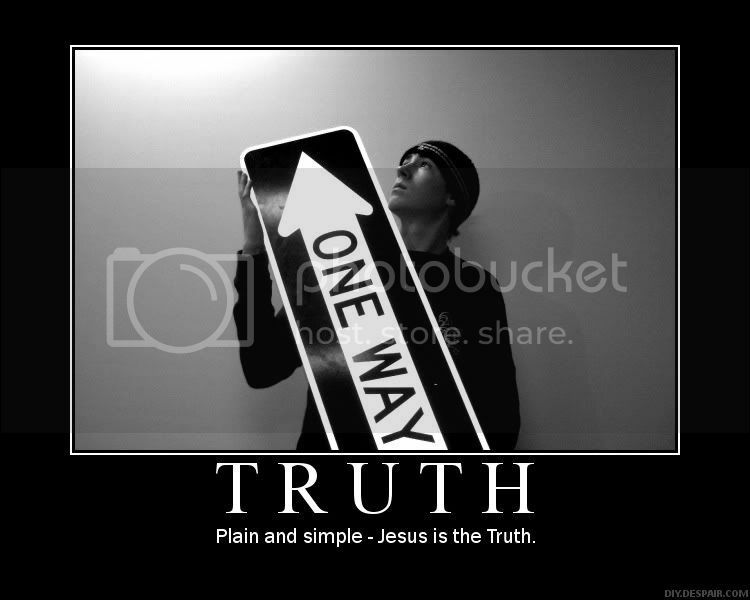 Truth (Jesus) is the same in either context. You did a great job of explaining that. Also, I really liked the poster you e-mailed. Some other bloggers have begun posting their own posters on their blogs. If you have a blog link, you can post it here. I don't claim to represent all things emergent and certainly not all of Christianity. The posters are simply my personal expression. 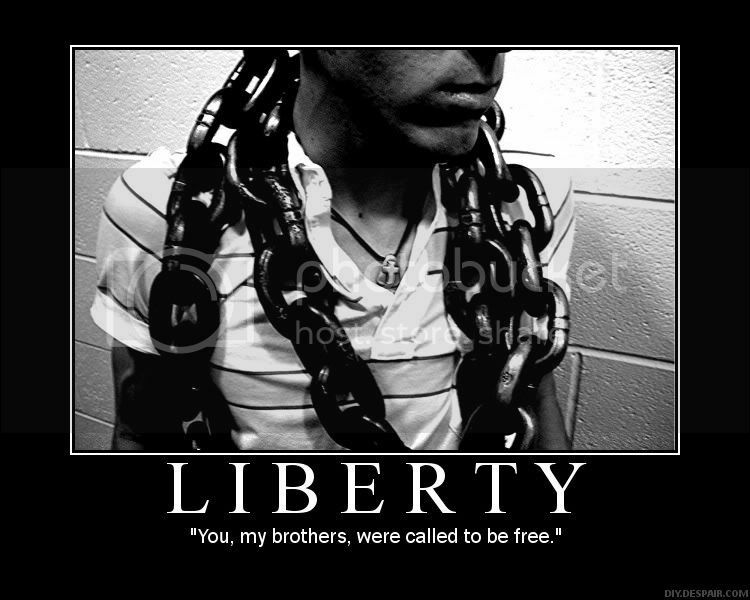 You are free to disagree with them. I'm not really a debater, so I won't attempt to defend them against people who see them as ridiculous. I posted them because I thought they would be an encouragement to some people. I don't expect that everyone would feel that way. If you would like to continue conversation on a more personal level (meaning about you and me rather than about impersonal doctrine and ideology), I am open to further dialog. With 4 teenagers, I don't have time to feed trolls. Oh, and Ken - Proverbs 11:24, little buddy. Grace, truly amazing. This "response" definitely lives up to your name, and these are VERY encouraging. Thanks for doing this! Sentimental, but meaningless. The exact reason why Phil Johnson's posters where so poignant is well demonstrated here. Rather than providing proof that Emergents might adhere to Orthodox doctrine (i.e. an substantive definition of eccesiology), or affirming the actual definitions of words that have real meanings (i.e. post-modern), you provide have smarmy ethical platitudes that even atheists can give a hearty "Amen!" to. The necessity of wholly sinful humans surrendering their pride and clinging to the mercy of the risen Christ is noticeably absent. But, hey, I'm mean and uncharitable, so just dismiss me too. You really think an atheist would "amen" "Plain and simple- Jesus is the Truth"??? "Trusting God"??? "The Word became flesh and blood and moved into the neighborhood"??? If Grace's gracious responses to TeamPyro's put-downs don't work for you, maybe mine are sufficiently theological to pass your test? Call me another troll, but didn't an atheist chime in with this comment above? I think these are fantastic. Some of the images are quite moving. Thanks! I've reproduced some of them on my blog, Vanguard Church. Thanks Alexander. You saved me the effort of cutting and pasting myself. And no Bob, I wasn't kidding. This whole notion of "Jesus is the Truth, the Truth is a person, therefore the Truth can't be known in an absolute way" is pseudo-intellectual tripe. Which is a sufficient means of defining the "thought" coming out of the ECM and the rest of "post-evangelicalism". See, we can go around saying Jesus is the Truth, but what does that mean? We aren't allowed to define Jesus or the Truth. This ignores the reality that the message of the Gospel, of the Atonement, and how it is applied to God's Chosen people, has been clearly defined for two thousand years. Many men have shed their blood to maintain the purity of the Good News and the ramifications it bears on the knowledge of God's character, the nature of man, and extent of Christ's work. If Jesus was just a good moral teacher who said to love others, what is there for an atheist to reject? When I was living in London, I would listen to a guy who referred to himself as a Christian atheist. Is he "saved" because he lives in accordance with the Red letters? Even while denying their power? Believe me, I am no fan of modern evangelicalism and all of its shallow appeals. But when one looks at all of American Christianity with the wide lens of historical perspective, one realizes that the ECM is just on the other side of the merry-go-round. Hey. These are pretty cool. Way to go. Although i did not find the other posters that offensive. I found them to be a fair critique of emergent stuff. But i like the counter strike style. I am glad that Garret feels free to sound off about the other posters...i just found them plain funny but their critique is not the end of the debate that is going on just another step of the opportunity for iron to sharpen iron. I do find it interesting that Garret cannot find anything redeeming in these posters. Does being neo-reformed mean not being willing to acknowledge points of commonality? THANK YOU....these are quite simply splendid. Can envisage so many ways of using them...and you are very generous to allow this. I have enjoyed visiting the blogs of those who have commented and linked, discovering new blogs, and reading so many interesting points of view. Nice to meet you. I like Garet spelled with one r and one t, although you probably often experience having it spelled wrong. I'm not sure about the mean and uncharitable comment, since I don't know you, but I do not typically dismiss people, at least not intentionally. If you read my intro to the posters, they are not necessarily rebuttals to the other posters, but rather an expression from my point of view. To be honest, I never intended for them to be definitive theses of theology or doctrine. I am aware that they are much more simplistic than that. I am not interested in arguing either for or against entire movements. There is a time and place for those kind of concrete discussions, but probably not on posters thrown up on a blog. Personally I believe Jesus is the Son of God, He is the Way, the Truth, and the Life. That doesn't seem undefined to me. I also believe that as I know Him, I continue to grow in my knowledge and understanding of Him. There has been both innocent and unnecessary blood shed because of the gospel. I believe the only blood shed that truly maintains the purity of the Good News is that of Jesus Himself. I'm sorry that the "emerging" in front of my name doesn't allow you to acknowledge me as a sister in Christ. Yes, one self-described atheist said that, and another said they were absolutely ridiculous. No matter our "labels", we are all individuals with unique opinions. It doesn't surprise me that the posters do not speak for everyone in any particular category - emerging, fundamental, atheist, or whatever. They are my expressions, so some people will relate and others won't. Great job on your posters! If the link doesn't work for anyone, you can find the link to his blog, bob.blog on my blogroll. About those who can't find anything redeeming in the posters, it is all a matter of what one is looking for. But if you're simply looking for others to relate, as some atheists, muslims, jews, hindus etc.. will, then what is it that makes these uniquely Christian? 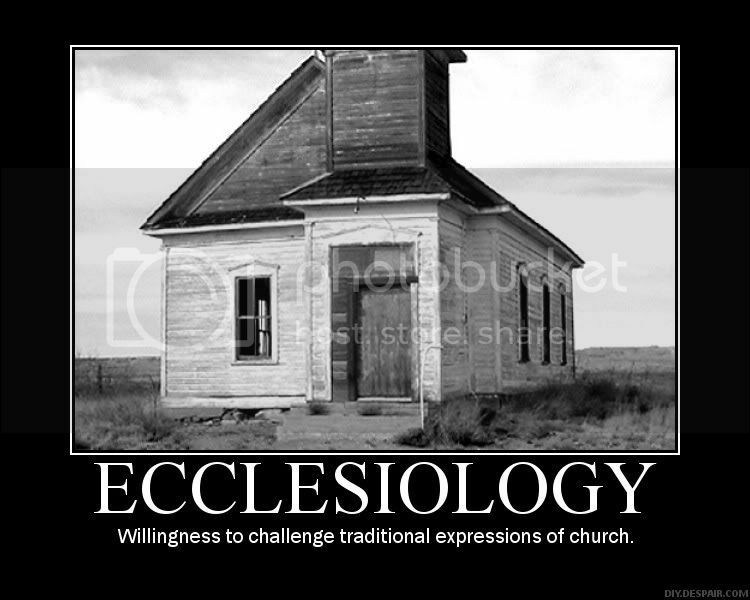 or more specifically, what defines the 'emerging church' as a Christian *church* (as in *people*) movement? Were not these posters created as a response to critical posters of the emerging church movement? Are you therefore saying that the mission of the 'emerging church' is simply to relate to those who don't share the same beliefs? 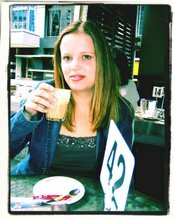 I can do that as a Christian, I don't need to define myself further- I have more atheists and agnostics read and comment on my blog than Christians do. If the emerging church is about following Jesus, then what differentiates it from a simple moral code that anyone (not following Jesus) can follow? It's sometimes difficult enough to explain your Christian beliefs to someone outside the faith. Explaining why there are different denominations is harder. How is anyone supposed to explain what the emerging church is to someone with little knowledge of Christianity? I'd like to see the emerging church's doctrinal beliefs and I'd like to know what's wrong with the apostles creed? Nice try on the guilt trip, but I never suggested that you were not a sister in Christ. That's what these posters are too. However, as long as you can rationalize why words get to mean whatever you would like them to mean, then there really is no point going any further. And I've been walking with Christ since I was wet behind the ears too. It will be 27 years this fall, but I don't quite see how that is relevant... Oh wait, it must mean that you are so much wiser than me, you've seen it all... (sarcasm) Nice way to dismiss a younger brother. It's the smug false humility that I can't stand about the ECM, it's a carry over from the (politically) liberal ism that plagues the same movement. Don't worry about feeding the troll. Does being neo-reformed mean not being willing to acknowledge points of commonality? I have no problem with the ideas of the posters. But, regardless of the authors denial of them being a rebuttal, they are. My critique is coming from that angle. Which is why I called them smarmy platitudes. There is nothing distinctly Christian about them. Except maybe the last one, and that is debatable. I love the pics... they express so much about the word and the phrase! A friend of mine emailed me a link to these, knowing I would like them. I did! Its nice to "meet" you. To be honest, I don't care if others relate or not. As I keep saying the posters express the thoughts of one person, not a movement. I thought they might be encouraging to some of my blog friends. I don't attempt to speak for, critique, or defend the emergent movement as a whole. Like you, I don't find labels especially helpful. There really isn't "The Emerging Church" as a singular entity. There is a conversation among believers from many different backgrounds who share some values and differ in other values. Because of that there isn't a singular statement of doctrinal beliefs. However, the people I know would be in agreement with the basic creeds such as the Apostles' or Nicene Creed. I do not understand why there is an insistence by some that we do not believe the creeds. Sorry, no guilt trip intended. 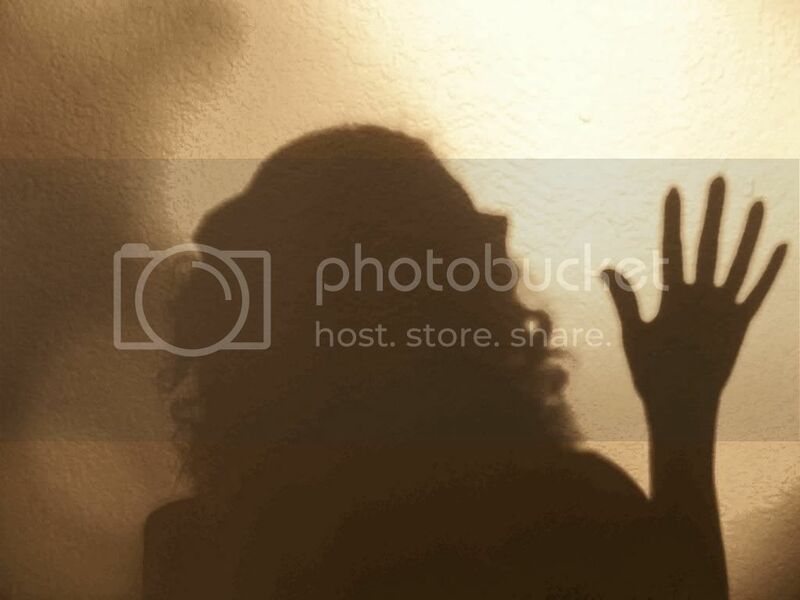 I assumed the "emerging" in front of my name hindered you from seeing me and relating with me as a sister in Christ. My lengthy response to you was an attempt to engage rather than dismiss. We are on the same team. Blessings to you. Then I would propose, Grace, that the 'emerging church movement' is simply another Western church sub-cultural fad that will simply die out to the next 'amazing thing God is doing'. We in the West are fat and lazy, that's why we have terms such as 'lifestyles' and can afford to form many 'umbrella ministries' and follow fashionable trends. I don't think Chinese Christians are much interested in 'conversation' as they are in staying out of prison and spreading the gospel frantically. Same goes for Christians of the Middle East. To use another post-modern term, perhaps we need to start thinking "globally", rather the next new thang to occupy our dull existence in the lands of milk and honey? Speaking of word and terms.. "occupy" is the wrong word to use.. "justify" is the right term. I agree with you about movements and the possibility that the same thing may happen with the emerging conversation. It may run its course and hopefully will have served some useful purpose for the kingdom. You might enjoy his book. Also the link to his website is Forgotten Ways on my blogroll. There you will find very in-depth conversation about missional thinking. I took a quick look at Forgotten Ways blog. At first glance it is filled with buzz-words (which I loathe and which are borrowed and evolved from the high corporate world). However, I will do you the honour of reading it more deeply when I have the chance. I'm going to be away for a few days from tomorrow but after I have got a better understanding of what his message is then I will come back and let you know what I think. I get the distinct feeling we are looking at the same thing but from different perspectives, like being on a separate corner of the same triangle. The difference is I do not see this movement as a benefit, only that it muddies the theological and ecclesiastical waters of what is already a complex and confusing body of Christ. To those like me, outside the 'movement', it appears as though it is a movement away from the body- a split (whether this is the case or not). Many of the words used to describe the movement are relative, sentimental, feel-good, buzz-words and marketing language. I have not come across a doctrinal statement for the emerging church and most 'emergers' tend to talk, as do you yourself, in terms of their own perspective and interpretation. I mean is there even a goal to this? Will there at some point be an 'emerged church'? To my mind, the only real emerging church occurred circa 1900 years ago, and it has been going ever since. It emerged, it deviated many times through history but I believe God has always wanted the church to be catholic (not Catholic) and I don't think creating new terms, para-churches, umbrella ministries or movements help. Look at the pentecostal movement, which was the last denomination to form around 30-40 years ago. Not only is being pentecostal no longer new and counter-culture, many other denominations have begun to receive the holy spirit and 'caught up' as it were. I look forward to continuing *this* conversation regardless. @ Grace: Indeed the only reason I see fit in using the strong rhetoric I do is because I work from the assumption that most in the ECM are on my team, positionally speaking. I use the language of rebuke, and not unwittingly. 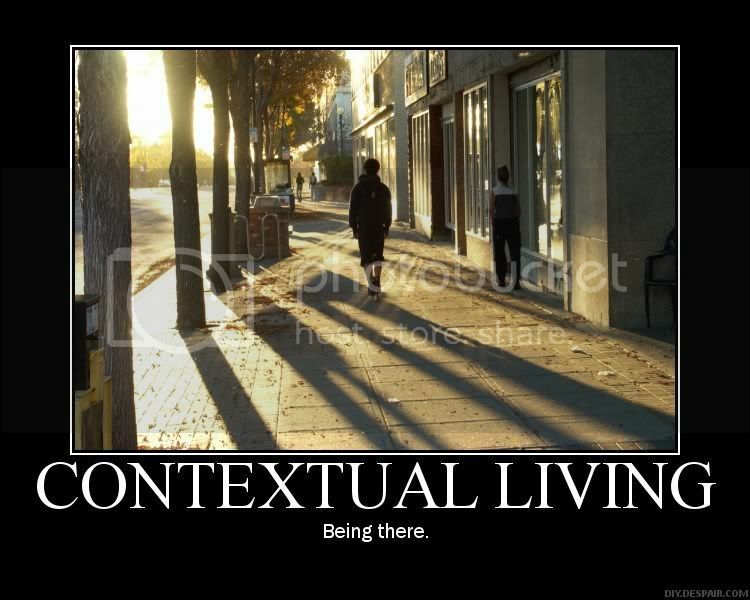 At some point those who are in Christ will awaken to the reality that the ECM "conversation" is an ill-begotten fad. Those who are not in Him will never have heard the Gospel in enough clarity to reject it, let alone receive it. The latter is the thing that fills me with anger. The problems inherent in the church of modernity isn't it's dogma, it's the rigid adherence to strict cultural codes that are unrelated to substanative doctrine. Those in the "conversation" make a similar blunder by strictly adhering to the code of cultural revolt. The blunder is compounded because of the philosophical doubt substituted for the sound doctrine that comprises the very message of Christ and the necessary beliefs that accompany saving faith. It is hard for me to see (as a student of literary theory and philosophy) the Emerging "conversation" as anything more than Marxist theory applied to Christianity. Loving the unlovely and accepting the rejected are certainly part of the work of reconciliation, BUT it is worthlessly futile if the unreconciled are not awakened to their own depravity, repent, and cling to the mercy of Christ. The language of the "conversation" does not permit these to be subjects of certainty. Therefore, the lost remain lost. Life is but a vapor. I would rather be naked, cold and shivering in a corner with the assurance that one day I will be with Christ in paradise, then comfortably sipping a latte in front of warm fire ignorant of my eternal peril. From my vantage point, it is hard for me to see anything but those in the "conversation" rationalizing why this juxtaposition is anything but an illusion foisted by the dogmatists of modernity. It's arrogant navel gazing, and shameful. Having been on the planet longer than most of your commenters (at least, that's my WAG and I'm sticking with it...) I want to encourage you!! KUDOS! Keep listening and stretching to understand God's limitless power to change us and our world. I will def be linking to these... and using them as I teach and preach! P.S. ignore Alexander too... life does not have to be explained in a cookbook way... It is likely he and others have not read Phillips' "Your God is too Small"
Great stuff here. Keep it coming! That's good advice there Pastor D, ignore those who have a different opinion. Doesn't sound much like the ethics espoused above. Nor do your cliches mean much, I think I'll just ignore you. WOW...I am not sure how to comment. My husband and I recently began visiting a pretty well known emerging church. I would consider us both to be somewhat spiritually mature, practicing believers for about 10 years. Churchgoers via family for a lifetime before that. We both love God's Word and study it and believe it to be Truth. It is with this background that we came to an EC and came away blessed by the worship, teaching, fellowship and the vision of the church. We were shocked to be told that the church we had been visiting (regularly) was teaching (or leaking) relativism into the Church (i.e. the entire church). We had not heard anything remotely relative there. I have also been told that "these churches" focus on the experiential spirituality. Again, can't say that I agree due to the ACTUAL teaching from THE WORD OF GOD. Yet I am hesistant to say that I enjoyed it for fear of being slammed for being experiential myself. Interesting though that the programs and classes and minsitries in ANY church (as well as the worship) are intended to evoke experience. Or at the very least provide an atmosphere conducive to seeking God. Open hearted and open minded my husband and I both seek TRUTH and Clarity regarding this movement. Anti-emergents would serve all better to construct their arguments minus the insults and digs. And for GOODNESS sake cite your sources when you make an argument. I am tired of reading that this EC leader said this and this one said that but I cannot find this informaiton anywhere in print with a bona fide source. Give us something to go on if the EC is as dangerous as its critics say it is. I somewhat agree with you about buzz words. I tend to prefer simple language. However, there comes a point in any particular circle (whether it's business, technology, theology, whatever) where certain words become shorthand in our conversations with one another. They are somewhat useless to conversations with people outside of that circle. In Alan's case, because he is talking mostly with scholars and theologians, the words they use are meaningful to the conversation they are having. I thought perhaps that was the depth of discussion you were looking for. I think that many of the people involved in "the conversation" aren't invested in emerging as a "movement" but instead are invested in the ideas and values. So where you say - I think we need to see the gospel being spread frantically and that we must enlarge our vision of what God is doing to include what he is doing globally - I can say yes, I feel the same way, and I feel that we have to look at how we have been doing church in order to be more effective in reaching the lost - and, there you go, we are having a conversation. In essence, there are thousands of people having this conversation. Because of that it is being labeled a movement. But whether or not it is a movement is irrelevant. The church is changing and people are talking about it. Period. I noticed that you have Andrew Jones in your blogroll on the DYL blog. He has great insight on what is happening in the church on a global scale. You might find his ideas about emerging/missional thought more accessible. You could search his archives for explanatory posts. For the most part, the point is that emerging is not a cult being formed to take over the evangelical church world, it is not a denomination, and it is not necessarily a movement in the sense that there is not a centrally organized agenda. It is, more simply, people discussing the church, the gospel, mission, and the changes they see. 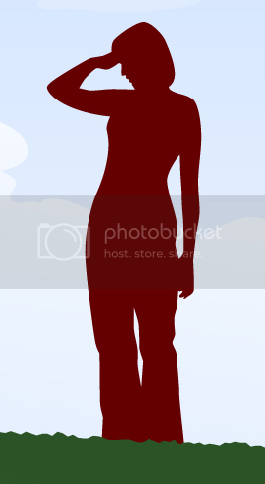 I don't agree with the need for me or anyone else you consider emerging to be rebuked by you. 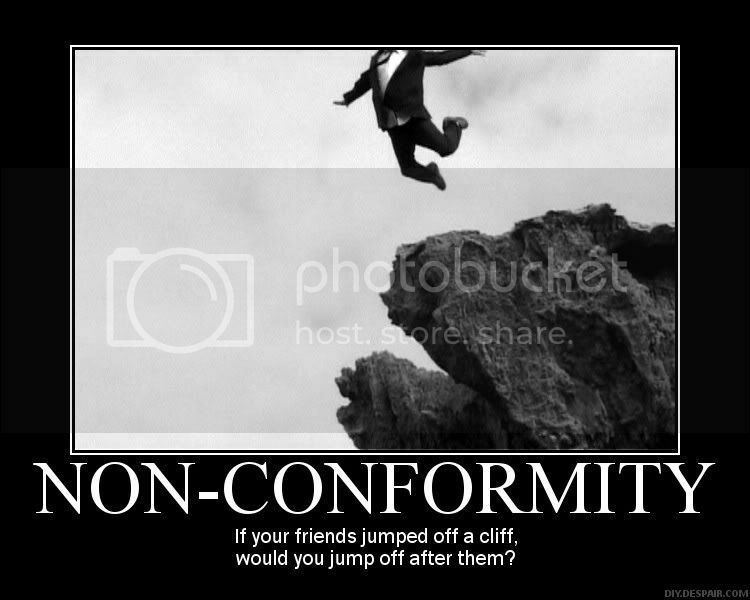 In spite of your perceptions, most emerging people are fully grounded in sound doctrine and not necessarily interested in cultural revolt, unless it is to leave the culture of dead religion. You seem quite determined to hang on to your perceptions of emerging believers, so I don't really see the point in continuing to debate the issue. I read your latest update and I'm waiting for Part 2. Interesting! No you can't buy the posters, but you can have them. I suppose if a person knew how, you could copy them and somehow have them enlarged and printed. I don't know how the quality would be. 20 years of adult life certainly does make us aware of how little we know in comparison to what we thought we knew. 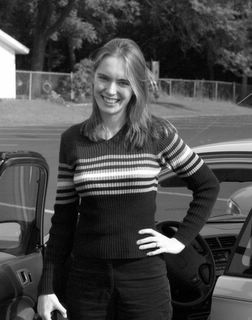 I used to be extremely black and white also, but have now mellowed to shades of gray. Thanks for the encouragement! I would encourage you to trust your heart concerning your church. As long as the centrality of Christ, His lordship and the love of God are front and center; and lives of humility and servanthood are encouraged, especially in the leaders, you should be fine. Continue to embrace the Word and to embrace Truth as you grow in your knowledge and understanding of Him. He will show you if there is cause for real concern. I agree with your last statement, therefore I will not debate point by point how you misconstrued the intentions of what I was attempting to communicate, nor how statements like "fully grounded in sound doctrine" are dubious. For the record, you have narrowed me into a category of having perceptions that only you are enlightened enough to recognize. I myself have been actively involved in ministry for many years. 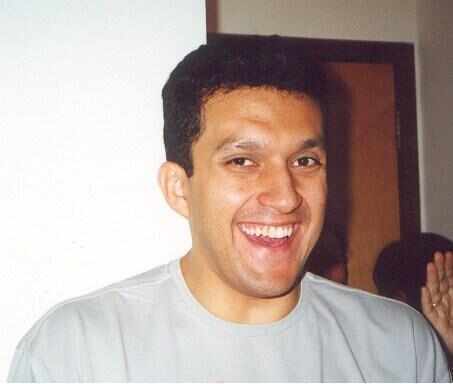 I've been a college ministry leader, pastored youth, pastored adults, traveled to South American and European countries as a missionary(evangelistic and helps oriented), played roles in non-traditional church plants, participated in the early days of what would become the emergent "conversation" meeting with men like Erwin McManus and partaking in think tanks designed to re-examine "church" from a pomo perspective. I've been to many churches (including The Bridge, North Coast, Mosaic) that would be considered "emergent". If it has happened in Socal and it was cutting edge, there was a chance that through my network of friends I might become tangentially involved or at least be a close brother to someone who was/is. What does this all mean? Not much, if you ask me. I am far removed from all that as of 9 months ago when I moved to the South and where I now must fight to stay focused in the midst of "the culture of dead religion". I just don't think the answer is found coming out of the "conversation". You can say I don't now what I am talking about, but maybe I do? 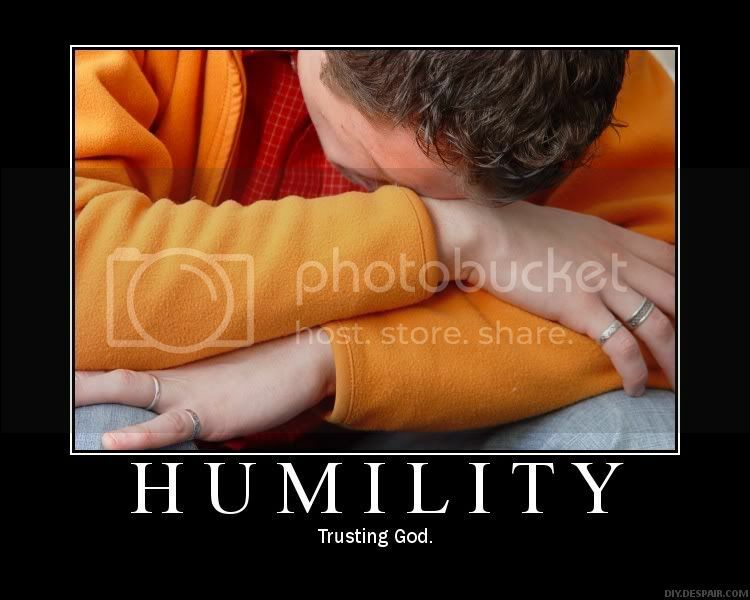 …what we suffer from to-day is humility in the wrong place. Modesty has moved from the organ of ambition. Modesty has settled upon the organ of conviction; where it was never meant to be. A man was meant to be doubtful about himself, but undoubting about the truth; this has been exactly reversed. Nowadays the part of a man that a man does assert is exactly the part he ought not to assert— himself. The part he doubts is exactly the part he ought not to doubt— the Divine Reason. Garet, your comments are very troubling to me. Not because I think you might be right, mind you. But because somehow you keep managing to point fingers at Grace and yet you appear to be doing the very things you accuse her of doing. You came into this thread with a very provocative comment, ending with "But, hey, I'm mean and uncharitable, so just dismiss me too." What kind of response do you want from that? And yet, every time that Grace has responded with...well, with grace...you have responded with a "one-up" kind of comment. Now, in this last comment, you state, "For the record, you have narrowed me into a category of having perceptions that only you are enlightened enough to recognize." Excuse me, but that seems very much like a pot/kettle situation, from my perspective. You obviously have stated some strong negative opinions about the EC. But rather than engage what is actually being said, you just put down what is said by saying it's not good enough or that it's "dubious". You say you want a doctrinal statement. I would say that I want to see fruit of the Spirit. There is not a single doctrinal position you can hold that would excuse sarcasm or telling someone else that their statements are "dubious". At least none that are reflective of the Spirit of God. You show me your faith by your doctrinal statement, and I'll show you my doctrinal statement by my life. Seems to me that Jesus talked quite a bit about that, as did Paul and James. I prefer to have frank dialogs with people. Sarcasm is a rhetorical tool, and definitely the most Biblical form of humor. As far as the pot calling the kettle black- that was the point of what you quoted of me. Every emergent I've dialogged with is quick to make assumptions about who I am based on the fact I have critical things to say- the antithesis of what the "conversation" is supposed to be about. When they don't know my age they think I'm some old guy who is too locked in his ways to understand- when they do, I suddenly become too young to know all the "grey areas" of years of ministry. As far as the "hey dismiss me too", was referring to the reaction to Team Pyro's posters, which have been dismissed as mean and uncharitable, etc. Don't be coy, Steve. Critics of the ECM are dismissed, ignored, and written off by the ECM as adherents to dead religion, or locked into outdated systems of thought. There is a vast disrespect to elders as part of the ECM. (and patronizing doesn't count as showing respect) The "graceful" responses may be syrupy sweet, but then I'm pretty sure the Biblical definition of Grace has little to do with politically correct decorum. Look, don't feed the troll anymore. I won't be back. If you want to continue a dialog, you can come find me. I DID try to find you, because feeding trolls on someone else's blog isn't something I want to do. I was hoping to find (as most of us have on our own blogs) an email address where we could talk and seek to understand each other. However, on your blog, there was no such thing (that I could find, anyway). 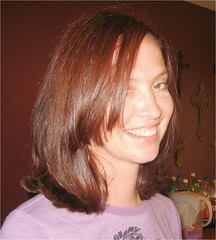 Feel free to write me from my blog www.robbymac.org, if conversation is something you're interested in. Grace, regardless, you have been soft-spoken and kind responding to Garet. In order to keep from writing much, I will simply say that I am a Reformed evangelical. My church is caring, loving; we reach out to our community and share the Gospel to the nations for God's glory and their joy by going to Africa, Taiwan, and China. And our church is growing by his grace, and I think it is much because we choose to focus on the preaching of God's word more than morphing things to get people to be interested. The Bible is the most relevant book ever written. It's truth does not need to change at all. People hear the Gospel and believe it everyday, and it's been like that for nearly two thousand years. Why does it need to be made 'relevant' now? Plus, I think that we shouldn't be to quick to generalize Paul's love for others and how he worked for Christ. There are times when rebuke and discipline is necessary and loving. Galatians is like that. It was generous in a confronting kind of way. There are hills on which to die. Defending the biblical Gospel is a hill on which to die. Just got back from a long trip and decided to log on to this post and see how far it got. I was not going to comment till I saw that inclusive conversational statement from the Anonymous PastrD. For the record all I've done is ask questions and state my own opinion, yet PastrD comes off quite arrogantly. Is this how he seeks to win over people to the ECM also? I've heard the statement "your God is too small" enough times, does it really require a whole book to expand on it? Jesus I know, Paul I've heard of... who is Phillips? If PastrD wants to patronise people and pull random book title quotes may I suggest a book title to him? There's an old book that most of us use to reference, it goes by many names but most people simply refer to it as "The Bible". It's full of really useful information. BTW 20 years experience = 1 year repeated 20 times. You want to start comparing cars or something? 1 Tim 4:12 - that's in "the bible"
Great stuff! Those are so powerfull messages that get so stronger with those so beautifull images. I have already used some of them in my personal blog and the blog from my community. How about I make some snide intellectual atheist comment that everyone can agree to attack so we can see a little unity from the Christians here? Grace, I love the thought and the will behind what you have created - even if I don't agree necessarily with the content. The debate you have sparked is fascinating too, so thank you for that, even if it was an unintended consequence. Garet, you are quiet clearly a person of considerable intellectual intelligence, but I'd suggest that while you have found (and obviously love) knowledge, you, as yet, lack wisdom. These are quite special. Thank you! How nice to know the posters will be enjoyed in Brazil! Blessings to you. Are you the infamous coffee friend of Hamo? If so, I have read your comments and posts at his blog. It's nice to meet you. Aye it is me - infamous indeed! These are great. you have really captured the language of emergent. 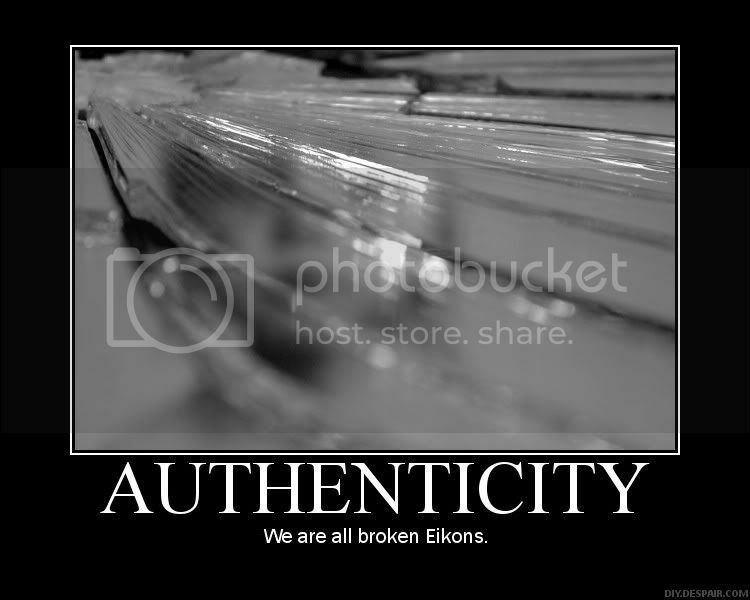 Two questions...What do you mean by "Eikon" in the Authenticity poster? I am not following exactly what you are trying to say. Second, on the Postmodern poster. I don't think they're untroubled by unanswered questions, because that makes it sound like they don't care if they're never answered. Postmoderns just keep looking for the answers, never satisfied with what they have; they're ok with fluidity, being "in-process" all the time, rather than having the "definite" answers of all time to hand out on the street corners. I'm not sure how to form that into a whitty poster comment thought. :) Thanks for putting these together. It's nice to meet you. First, let me say that in phrasing each poster, I simply did a word association, using the first thoughts that came to my mind for each term. I don't claim that they are the most precise or definitive explanations of emergent language. The term Eikon is one that I picked up from Scot McKnight (Jesus Creed). It has to do with being reflections of the image of God. Obviously we are imperfect reflections of His image. The relationship to authenticity would be in being open about our brokenness rather than in trying to present a false image. I agree with what you said about postmoderns. I personally don't get hung up on modern vs. postmodern, but I am aware that is important to understand the impact it has in perceptions. Personally, I am wary of dogmatic certainty and find myself more comfortable with a process of continual learning and growth. I'm glad you enjoyed the posters. So I finally just popped over to the spot where all this began, and I have to ask...sincerely...am I a heretic for enjoying and appreciating both your version and theirs? Certainly, the former is poking fun at Emergents, but is there not truth seeded in the (hopefully not mean-spirited) poke in the ribs? Are they not intended to be tongue in cheek (I honestly don't know...then again looking at the URL, I suppose that's telling). I love your versions...I had no idea you had generated this much buzz (you go girl, although I KNOW this is not what you were looking for when you posted them in the beginning). Although I'm not one of your "deeper reads" and I feel out of my league even to comment to you (on spiritual matters), you know I've always appreciated your thoughts and perspective....you articulate well the voice of one trying to seek God above the noise, with a generosity towards all. That being said...sometimes I see a chip...a superiority among Emergents...is that fair? I think there's merit in the conversation, but not at expense of the Gospel. Sometimes...sometimes...it seems that is relegated to the sidelines. Probably not making a whole lot of sense...but I finally decided to letcha know I'm checkin' in. awesome! I found this post through a link from a blog that I found trhrough a link to a blog that I found through a link to a blog... like 5 posts deep, ha. It seems like you have a healthy grasp on much of what is crystalizing as emerging theology. I'm a little behind, I believe, in that I just discovered the TeamPyro posters a few months ago and I've only today discovered these thoughtful rebuttals. Having struggled quite a bit with my roots in (heavily) reformed Christianity and also finding myself (at many points) sharing great affinity with the emergent/ing church folks, I truly appreciate your thoughtfulness. You are officially on my blogroll. Your stupidity is amazing Grace. What drivel. Now these: http://www.seersirc.net/forums/viewtopic.php?f=3&t=1086&p=7872 are some motivational posters with brains, jeeze I know that's hard for your small brain that you think god made out the dirt to handle. Have a wonderful oblivious life turning away from honesty, and logical thought like they're tumors. These are great and are simple and transferable for many. I stole them all. Grace & Peace to you!